Gulgule or Meetha pua is a traditional north indian dish which we make on special occasions and on festivals. 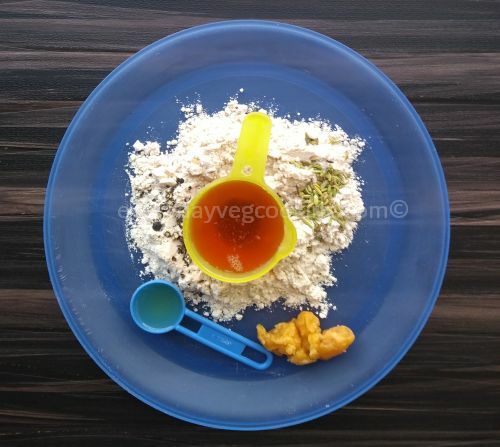 We make gulgule on Ahoi ashtami, a hindu festival which is celebrated one week before Diwali, on this day mothers keep fast and worship Mata Ahoi for the well being and long life of their children. Very often, we make this sweet delicacy as a snack along with moong dal ke mangode (moong dal ke pakode). 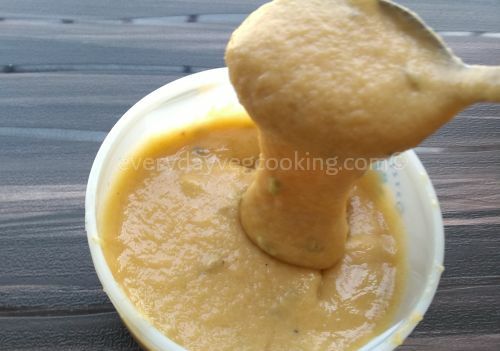 The batter of gulgule is made with aata and gud which is mildly flavoured with saunf and kali mirch. 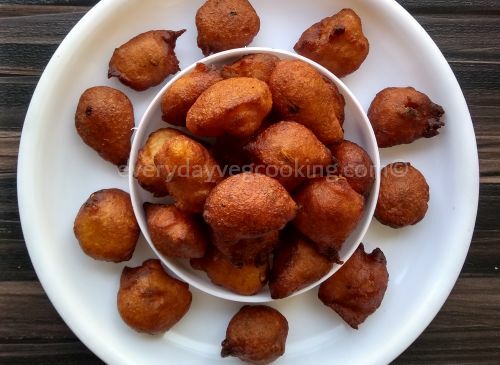 I like soft gulgule so I don’t add oil to the batter but if you like crispy gulgule add one teaspoon oil to the batter. Refined oil or desi ghee for frying. In a pan, take ¼ cup water and gud and boil the mixture, keep stirring. Once a beautiful golden syrup is obtained, switch off the flame, let mixture cool. Now add aata to this golden syrup and mix properly, add water as required, make a thick batter of dropping consistency. Add crushed pepper and saunf, mix properly. Heat desi ghee or oil in a kadhai. When desi ghee is medium hot, drop in 8 to 10 small dumplings in it and fry gulgule until golden in colour. Drain gulgule on absorbing paper. Gulgule are ready to serve.